We strive to be the best-equipped conveyer belt company with the largest inventory, the most diverse set of equipment, and the most qualified staff. With our experience, we can provide creative fabrication solutions. Our 84” slitter allows us to slit up to 84” wide conveyor belts, the widest available in our area. 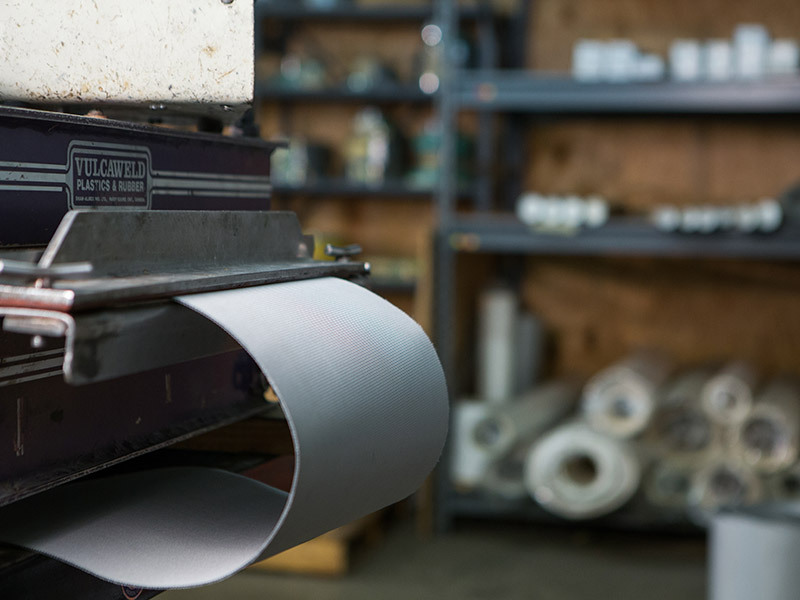 With a diverse set of equipment and a highly qualified staff, we can custom fabricate conveyor belting solutions that fit your specific needs and improve your productivity. We can add hot air welded V-guides to your conveyor belt top or bottom of type A, B, C or D in white or black. We warm our cleats before hot air welding them to your conveyor belt, to insure a straight and precise placement of the cleat. Cleats are available from ¾" to 4” in black or white. 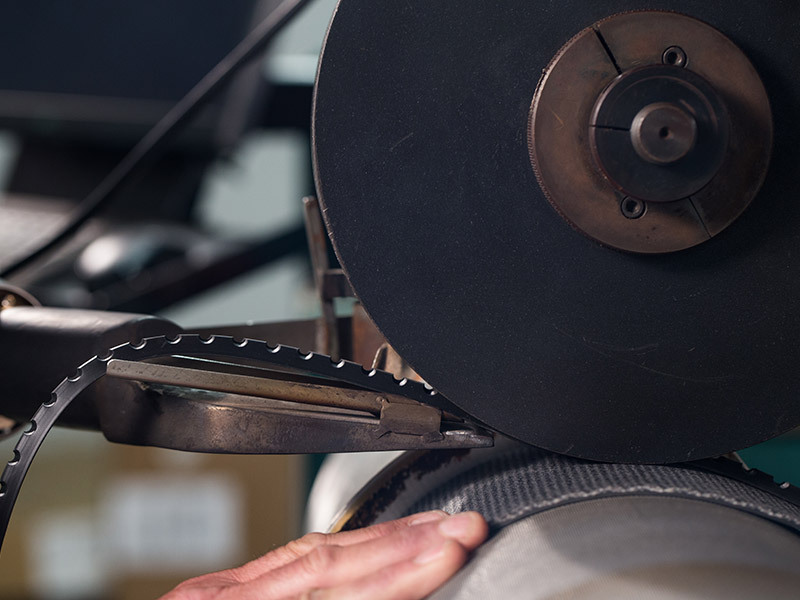 Unlike other conveyor belt producers we use consistent spacing on our cleats all along the belt and don’t leave an unevenly spaced extra cleat at the end, saving you money.